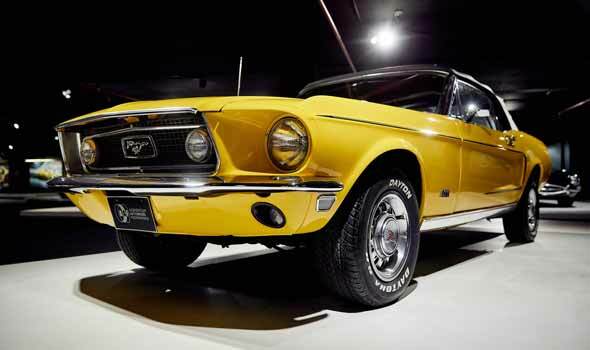 T o keep your classic car in a great shape, it is important for you to choose a secure and reliable storage facility. 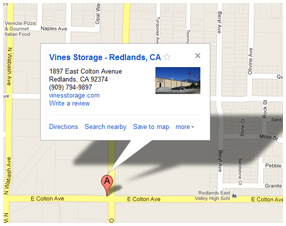 You may consider Vines Storage, one of the most reputable indoor car storage services in Redlands, CA. Before storage, it is advisable to prepare your car properly. The following steps are going to help ensure that your car stays in a good shape. Add premium gasoline and a fuel stabilizer to the tank, according to the manufacturer’s guidelines. Keeping the tank full prevents accumulation of excess moisture and prevents the tank from rusting. In addition, the fuel stabilizer helps prevent the hardening of the fuel. Make sure to change the oil and replace the oil filter besides adding fresh gasoline. Leaving old and dirty oil can cause premature rusting inside the engine. 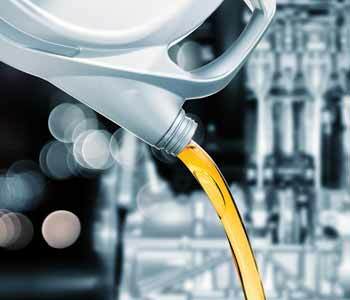 Moreover, it is advisable to drive the vehicle for a few miles right after changing the oil. Also, remove the spark plugs and oil the cylinders prior to long-term storage. It is crucial to store a thoroughly clean and waxed vehicle even though cleaning and waxing before storing may seem pointless. Any debris or dust remaining on the vehicle in storage can ruin or scratch the exterior paint. Moreover, interior crumbs and dust can create smells and attract undesirable pests. Before storing your car, ensure to clean the interior and exterior thoroughly and wax it. Place a box containing baking soda inside the car to absorb any foul smells that might be present. Block the exhaust with aluminum foil or steel wool to prevent pests. Lubricate hood hinges and doors to prevent them from sticking. Do not forget to clean and dress the wheels before storing the car. Also, use a breathable cloth and not plastic for a car cover. Maintain the tires in storage properly as they are costly to replace. First, refer to the maximum recommended PSI to air up the tires. Second, jack the vehicle up with the help of jack stands if you are not planning to drive the car for some time. This is going to help by removing the load from the suspension and tires. In addition, providing extra support is going to help in preventing flat spots on tires. Remove the battery from the car if you want to store your classic car long-term. 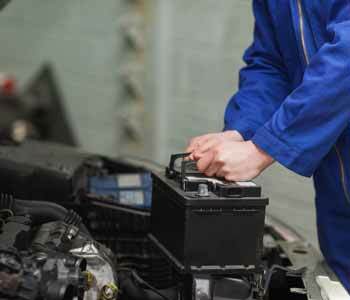 Clean the battery terminals, if corroded, using a mixture of petroleum jelly, baking soda, and distilled water. Use an above-freezing climate-controlled environment to store the battery. Use a trickle charger or battery tender for keeping the battery in the working state over long time periods if planning to drive the car periodically. However, there is a prerequisite for using this option. And that is that your storage area should have a power source. Ensure that you have topped off all the fluids including brake fluid, anti-freeze, and transmission fluid before storage. Ideal conditions for storing a classic car includes a dark, clean, and dry space. Even though it may seem convenient to store your car in a low-cost old barn, the light exposure and dirt floor, however, can be damaging. Using your own garage is also not ideal since the continuous access of the car exposes it to the elements. It is important for the storage to provide safety against harmful UV rays and the elements. Ideally, the storage facility needs to have a full-fledged security system with video surveillance and alarms to protect your car. Preferably, the storage facility should provide options to store your classic car in an open space as well as in an enclosed warehouse section. Choose Vines Storage in Redlands, CA for your classic car. Having such options enables you to protect your vehicle with the help of enclosed storage with climate-controlled spaces offering adequate room for car access.